You can count on Commander Printed Products as your business forms supplier because we take the time to learn your needs, develop innovative, cost-effective solutions, and then respond quickly. Just as importantly, we stand behind the quality of our products completely. With all forms we will match your existing custom software package, plus we have access to layouts for over 500 standard software package designs. 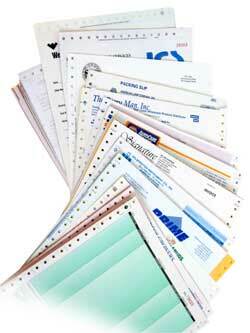 Are You Using Plain Paper Laser Forms for Your Billing? Watch Out, You May Not Be Projecting the Professional Image You Desire! 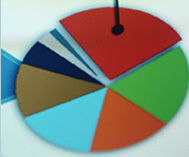 Business forms are often the most frequent contact between you and your customers. The design and quality of your invoices, statements, packing lists, etc. have the potential to either enhance or undermine the image you’ve worked so hard to establish. Yet printed business forms are often overlooked by many companies, simply using a laser generated invoice or statement on plain paper to be the “spokesperson” for their company and thereby sacrificing their image to cut costs. However, they often underestimate the impact this has on customers. Your company’s image should leave one thought in your customer’s mind — that you are the professionals with whom they want to do business. For just a few pennies per form you can drastically improve the image and readability of your forms by adding logos and phantom watermarks printed in your company colors, plus you can have important customer information highlighted in color. We can even print on the back of your form to include customer payment by credit card information, or your standard terms and conditions.